Today we had a nice day. The weather was very welcoming and sunny. Much better than yesterday. I woke up to the sunlight streaming through the window. 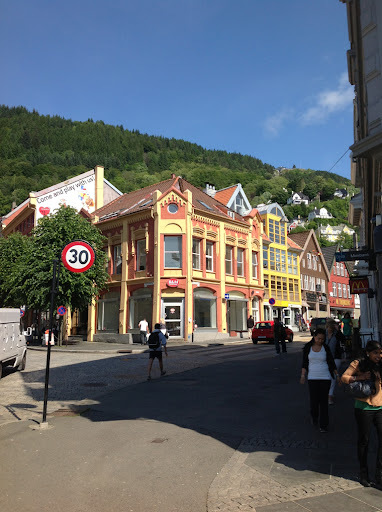 We checked out at around 10, because we wanted to get to Bergen by midday. 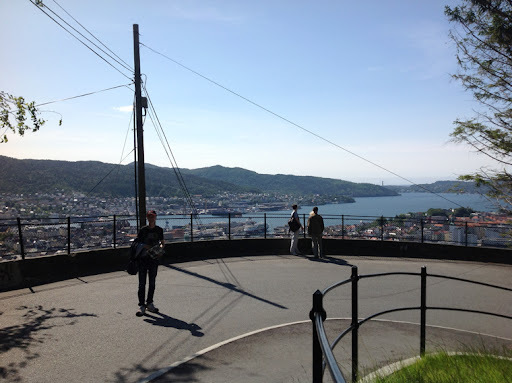 The scenery was amazing, as always, and we did get to Bergen at 12. 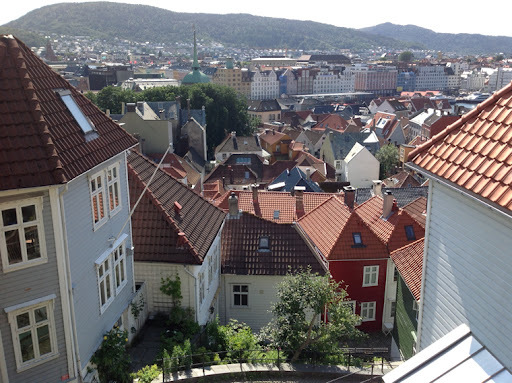 Bergen! 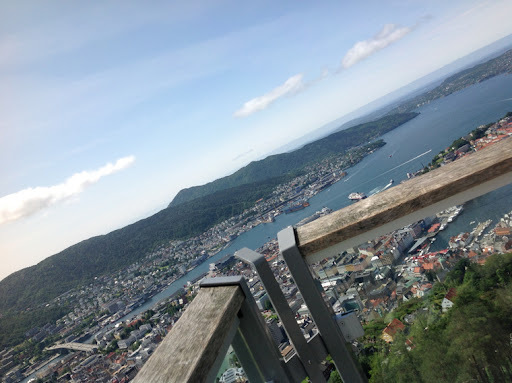 We firstly ate our pre-packed lunch, and went up this lift thingy you see in the picture. 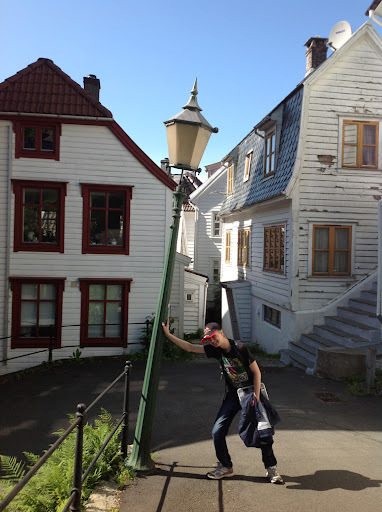 This is one of the main things my father said to do in Bergen. He had been before, and so he knew what to see. 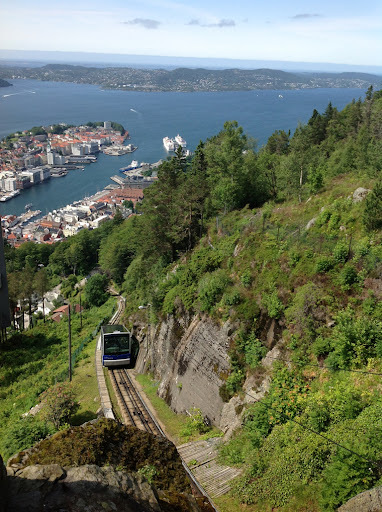 It gives you a panoramic view over the nine huge mountains around Bergen, the sea and Norway's unique houses. It is truly worth your time. 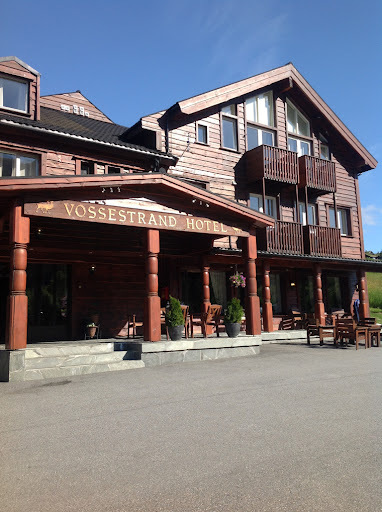 The hotel receptionists we talked to when we checked in told us that the walk down is very scenic and is only a 'light climb', but that was however not the case. 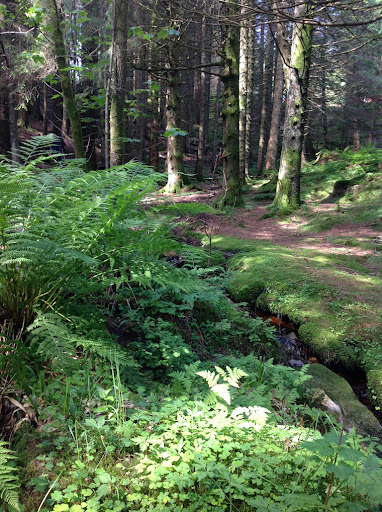 It was quite steep, and in some parts we did get lost because the signs were not too good, but it was nice. Be ready to take out an hour of your schedule for this, though. 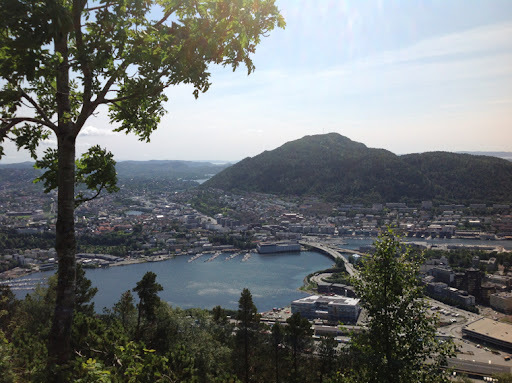 The views we saw were very pretty, and I thought that it was completely worth it! 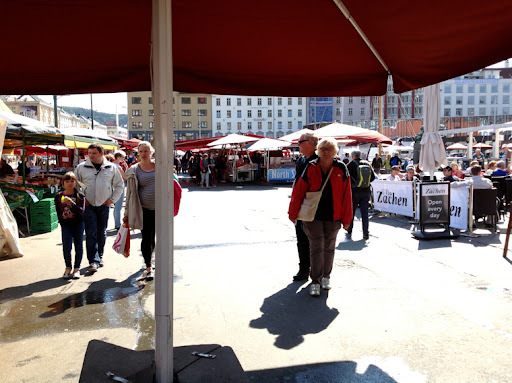 We then had fish and chips for dinner at the market, had a very 'water conservative' shower (the shower did not really 'shower' at all) It was more like drops of water)) and let our feet rest. 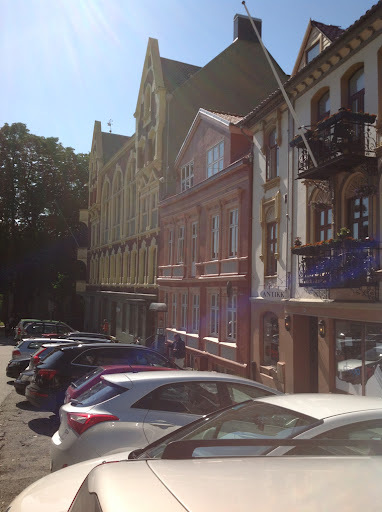 Tomorrow we will walk through the old streets, plan our way back to Finland and drive to Geilo. 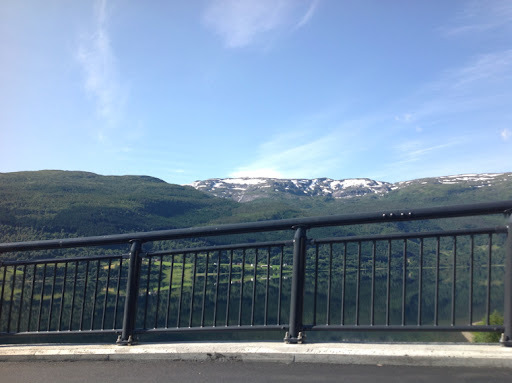 Geilo is half way between Bergen and Oslo.